Most electronic signatures comply with federal regulations, but not all of them provide the necessary evidence to withstand legal scrutiny. 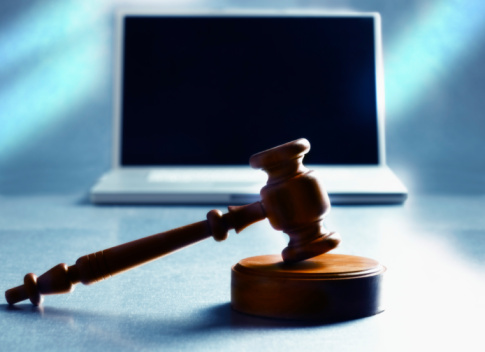 Here are six ways to know if an electronic signature is strong enough to stand up in court. 1. Do I know who signed? If a signed document is challenged in court, you’ll have to prove the signer’s identity. Here at SIGNiX, we have a variety of ways your clients can prove their identity. Text message authentication is a popular choice for many industries because it's proves the identity of the signer in an easy and convenient way. 2. Can I prove the signer meant to sign the document? To be considered legally valid, you have to be able to prove that each signer knew they were signing a legally enforceable document. 3. Has there been proper disclosure and consent? It is critical that any electronic signature software be compliant with all consent requirements for electronic delivery of documents as well as review and/or approval of necessary disclosures. Here at SIGNiX, you can customize disclosure language to meet your needs. With this, you can go beyond legal requirements and also meet your business's compliance needs. 4. Has the document been altered in any way? Electronic signature services offer a feature called “tamper evidence.” If someone tries to change any part of the document (even something as simple as deleting a space or capitalizing a word), there’s proof that tampering took place. We go above and beyond legal requirements by putting a tamper-evident seal on each signature on the document. Many businesses require this kind of highly-detailed tamper evidence to protect their clients. 5. Is the document electronically accessible to all signers? Regulations require that all signers must have access to the electronic documents for as long as the document needs to be valid. With SIGNiX, you have the flexibility to store documents on our highly secure servers, or you can choose to store documents on your own servers, a featured called Flex StorageTM. If you want to store documents on your servers, we will electronically shred our copy of your documents according to Department of Defense standards. 6. Can I prove all of these things? Electronic signature software should come with something called an audit trail, a detailed log of every action taken on a document. We also give you consistent evidence across all signed documents and audit trails, which means less risk for you and your clients if your documents are challenged in court.